If you don't have a new top-of-the-line laptop, no need to pout. Follow these tips to keep your PC in fighting form. Windows 7/8 users: On your PC, open up Control Panel and click on Programs. Here you can find a list of every single application installed on your PC. I suggest going through the list item by item and uninstalling programs you don’t need. Windows 10 users: Click on the little Windows button in the lower left corner and click on the Settings icon. Click on Apps and Apps and Features. This list shows you all the new Windows apps, tools, drivers, and programs you’ve installed, including the built-in apps you might not need. Go through the list and pick and choose. Click Uninstall on items you’ve never really used. If you don’t know what an item is, Google it. Chances are, someone else has wondered the same thing and posted about it in a forum, which will help you make an educated decision. But what if you find an item in this list that you need? Well, if it takes up precious resources and slows you down, we have a recipe for that: Sleep Mode, which is included in Avast Cleanup Premium. Once installed, it shows you a list of all programs draining your PC and offers a way to temporarily freeze them. The cool thing: When you need them, they work as usual. The more programs you put to sleep, the faster your computer will be. Left unchecked, our caches, downloads, and log files gather copious amounts of dead weight. These items take up space on your hard disk, and when it gets full, your PC might literally slow down to a crawl. Get rid of that extra ballast by regularly deleting the unnecessary, leftover, and outdated files slowing down your hard drive. 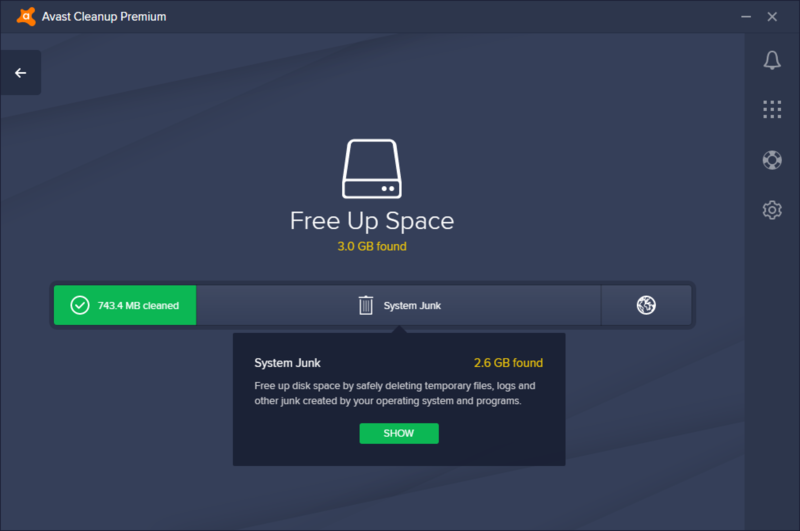 Better yet, let a disk-cleaning tool like Avast Cleanup Premium for PCs do the hard work to keep your system free of junk and running with maximum disk space. Your hard disk needs a bit of care once in a while, no matter how old or what type it is. If you’ve got an old-school (mechanical) hard disk drive, you’ll notice a gradual slowdown which is caused by “fragmentation.” This happens when you install or uninstall programs and copy, create, and delete files. It clutters up the bits and bytes on your disk and slows down your PC as it needs to constantly piece together the info spread across the disk. The solution: Defrag your disk, which puts things back into a coherent whole. If you’ve got an SSD (Solid State Disk), the fragmentation phenomenon doesn’t apply to you at all. Access times are instant, so there’s no need. But SSDs also keep information of files you’ve long deleted. For SSDs, the “TRIM” command tells the disk to wipe all index entries belonging to these unnecessary files. To defrag or TRIM, open up the Windows start menu and click on Defragment and Optimize Drives (you’ll find that in the Windows Administrative Tools folder). Select your disk and hit Optimize. At Avast, we make protecting your digital life our number one mission, and we envision a world where everyone equips their PCs with the tools needed to optimize speed and performance. Here’s to a great year, everyone.